As your physician, I will assess your individual constitution and welfare. It is my highest honor to provide focused, individualized care. Naturopathic, individualized health plans are the most successful way to ensure a positive outcome when your health is compromised. Preventive care is a smart investment in the future of your life. Like any savings account, you get out what you put in and usually more! I look forward to helping you walk your path to greater health and therefore greater wealth. To schedule an appointment with Dr. Baum click here. Lindsay M. Baum, ND graduated from National College of Natural Medicine. Her professional interests include family medicine, with an emphasis in men’s health, pelvic pain disorders, preventative/interventional cardiovascular and endocrine medicine, digestive disturbances due to food intolerance, and pediatrics. Dr. Baum collaborates with a network of providers specializing in reproductive health, male and female infertility, pelvic pain conditions, and erectile dysfunction. Her areas of focus are nutritional assessment, homeopathy, botanicals, traditional naturopathic medical care, motor vehicle accident care, physical manipulation and crisis intervention counseling. Dr. Baum performed clinical emergency medical research in a tertiary care hospital in Western Massachusetts pertaining to cardiac, pulmonary and pediatric health before completing medical school. Currently, she acts as a Clinical Research Coordinator in Rheumatological disease at Providence Portland Medical Center. In 1999, Dr. Baum completed a B.A. in both Poetry Writing & Reading and Native American Women’s Health with a minor in Anthropological Education at Hampshire College in Amherst, Massachusetts. 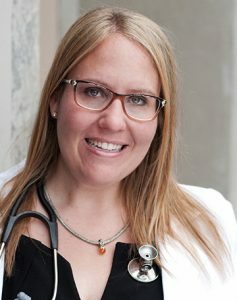 Dr. Baum is a graduating member of the Naturopathic Presidential Ambassadors Leadership Program after acceptance in 2006. She is a leader in legislative issues pertaining to licensure of Naturopathic physicians in the United States and on Native American reservations. She is a nationally certified Sexual Assault Medical Examiner, a forensic medical examiner for survivors of sexual crime. Dr. Baum has developed state awareness against sexual assault on a committee with the Attorney General of Oregon’s office during the years of 2007-2009. Currently, she is a member of the Oregon Disaster Management Team which provides medical care for survivors of national and international disasters through the Department of Homeland Security. Dr. Baum is a co-founder of Grain Integrative Health. She is dedicated to sustainable business practices and clinical practices and the development of provider awareness in the areas of men’s health and pelvic pain disorders. As hobbies, Dr. Baum enjoys writing, gardening, skiing, biking, cooking, sewing, petty-pointing, poetry, travel, family time, native art and swimming.